Those of you who attended FranCamp 2012 or watched on Ustream saw me say that I really love Dr. Pepper. 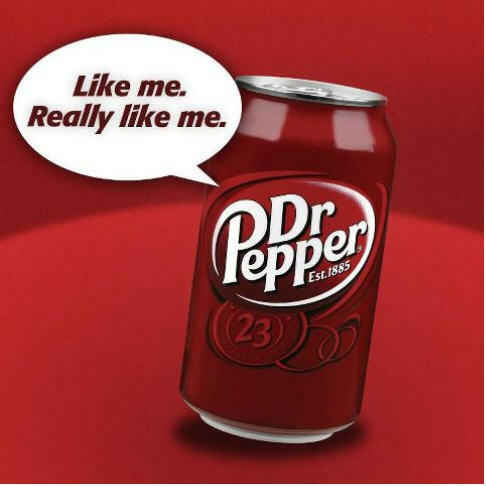 Especially the new Dr. Pepper 10. I'm drinking one right now as I write this. 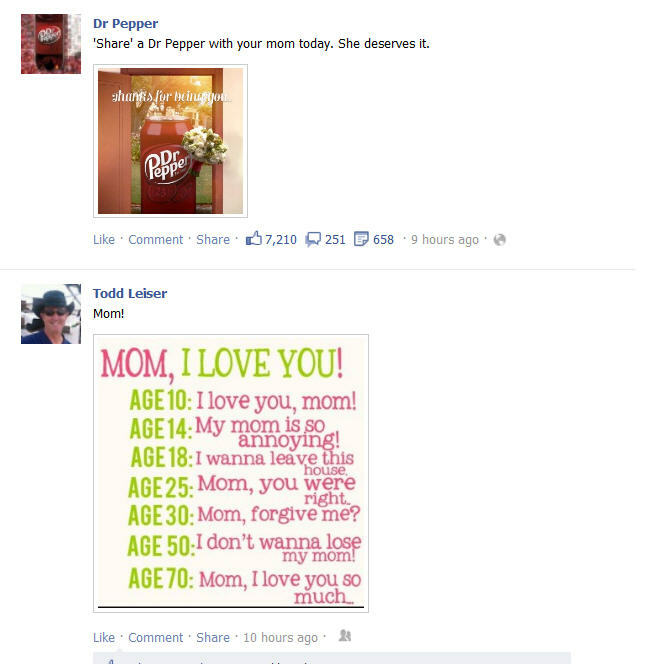 Today I un-liked Dr. Pepper on Facebook because I just have had it with the number of times they are marketing to me on Facebook right in my newsfeed. Do you think this is too much? 8 Posts in the past week. 5 since Friday. 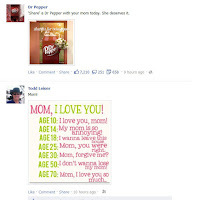 At least Edgerank appeared to spare me from about 8 MORE posts that are on their Brand Page that didn't make it into my newsfeed. I know you've paid a lot of money to be a promotional partner to the Avengers movie that opened earlier this month, but I don't care! I'll still love the product but I'm not liking this at all!